Im particularly happy with the ‘trellis’ that is supporting these guys…. It is a recycled ‘clothes airer’ that was laying around the bin area, looking untidy! These are the plants that were moved recently. 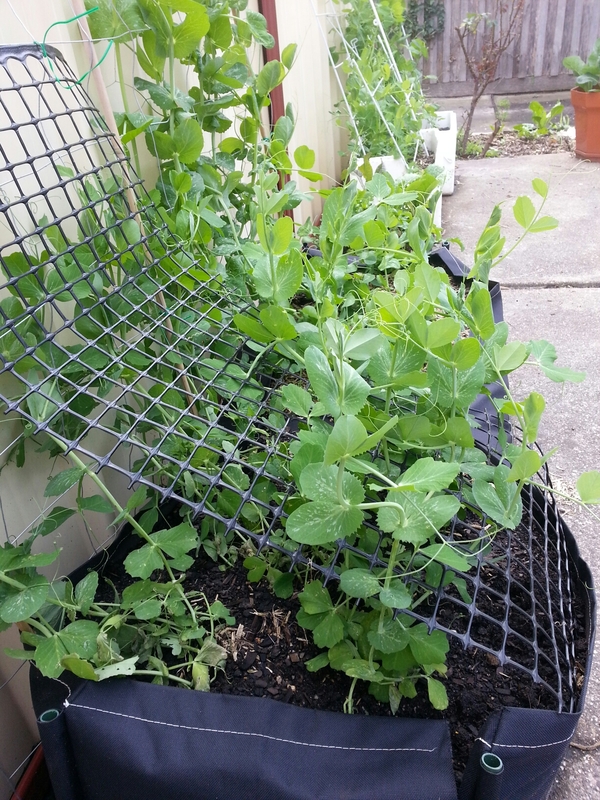 The Sugar Snap Peas are the ones the we dug out in order to move the heavy planter…. 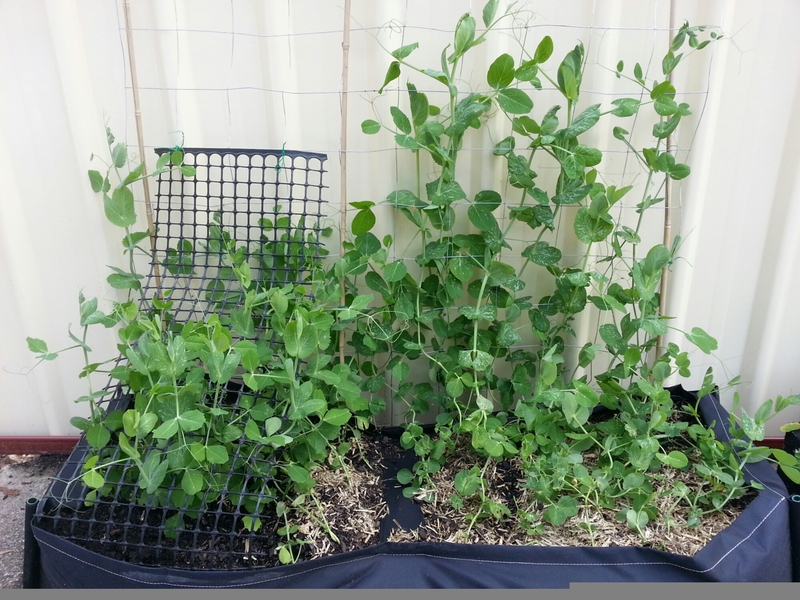 they have bounced back really well- without a single casualty! 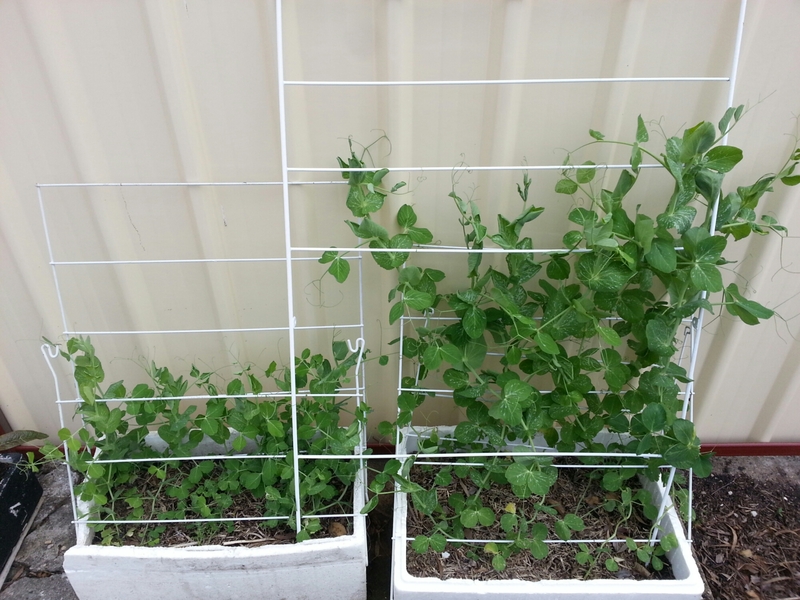 Hope everyone likes Snow/Sugar-snap Peas…. when they finally come in we will have kilos! Previous PostFoyer Needs a RestockNext PostAntioxidants in Food: Eat a Rainbow!